If you feel like picking up a few extra bucks or earning your full-time wages driving for Uber or Lyft, you probably understand their business model well enough to get up and running quickly. You sail through the hoops of applying for the role, jump in your car, fire up your rideshare app, and drive passengers from one place to the next. Not all that complex. You’re prepared to put a few extra miles on the odometer, and budget for the extra wear and tear that will inevitably result. While replacing tires and brakes more frequently won’t break the bank, a collision with another vehicle, structure or pedestrian could be financially devastating. But that’s what insurance is for, right? Read carefully through your personal auto insurance policy, and you’ll find that commercial use of your vehicle is excluded from coverage. Exclusions not only extend to rideshare employment but also to pursuits such as pizza delivery, hauling or pretty much any other activity where another party pays you for the use of your vehicle. The same gap in coverage would apply to taxiing passengers but ordinarily your own vehicle isn’t used in that pursuit, and insurance obligations fall to the business owner. How Do You Acquire Rideshare Insurance? Typically, there are two ways to secure an auto insurance policy for rideshare activity. Primarily, you can add coverage on top of your personal policy for an additional premium cost. It’s important to talk to a representative of your insurance carrier or compare providers to find the cheapest insurance quote in Ontario on personal or rideshare policies. Be sure to discuss the coverage options before you ferry your first passenger from their home to the airport. Don’t make assumptions. As it sometimes works with rental car use, coverage won’t automatically extend to your car when involved in a business undertaking. Thus, an accident causing extensive property damage or an injury to passengers and third-parties could trigger claims amounts that run into the hundreds of thousands, and possibly millions. The major players in the rideshare game usually offer some type of coverage while you’re driving for them. 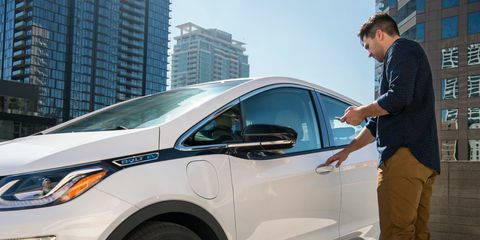 Canadian Lyft drivers receive $1 million dollars of aggregate insurance that offers coverage for collision, comprehensive, liability, and property damage claims. But it’s crucial to understand when the policy kicks on and when it kicks off. Anytime your Lyft app is turned on and your actively seeking fares, the commercial rideshare coverage has you under its umbrella. Shuttling passengers or on your way to retrieve one or a few triggers the same benefit. Turn the app off, and coverage from your personal policy is applicable— and the business policy deactivates. Like any other business venture, you shouldn’t rush in without insulating yourself from a financial downside. In the rideshare arena, much of the risk can be transferred to your employer. However, take the time to review the coverage offered by any ride service you choose to work for. The big names in the industry have the means to supply insurance that would likely exceed the amounts you carry on your personal policy, but startup ventures may not be as generous with liability limits. Use ComparaSave.com to quickly and easily compare car insurance rates. Meta: If you use your vehicle to drive for a ridesharing company like Lyft or Uber, you auto insurance might not be enough to cover you.